I am an Assistant Professor of Geology at Middlebury College. 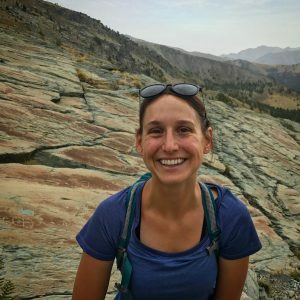 For my research, I primarily utilize melt inclusions (tiny blobs of magma trapped in crystals) and mafic minerals (olivine, pyroxene, and spinel) to study a variety of magmatic processes from magma reservoir evolution and eruption dynamics, to mantle melting and volatile recycling in the mantle. The second is a project is focused on understanding the storage, evolution, and ascent rates of cinder cone magmas in the southern Cascades. This work is dominantly being done by my current senior research students who are utilizing geochemical tools such as clinopyroxene-liquid barometry and trace element diffusion in olivine and clinopyroxene. © 2019 Kristina Walowski, Ph.D.